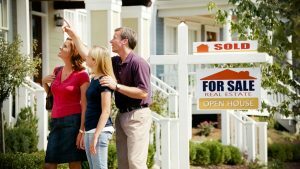 Why call it “A Millennial’s Guide To Buying Your First Home” ? Simply due to the fact, people between 25-40 are waiting longer and longer to ‘buy’ their first home. They are paying off their student debt, saving for a wedding, starting a family, or trying out new jobs and don’t want to be tied down. When do you really think about buying your first home? That moment when you just can’t stand writing one more check to your landlord so that he can pay his mortgage payment, with your money! Why continue to ‘build’ his equity and his real estate portfolio and not your own? That is the moment you are emotionally ready to buy your own home, at least according to investment experts. Let’s see how easy it really is to get that 1st house, build equity then keep moving up over the years while building a real estate portfolio. Down payments are expressed as a percentage of the purchase price of the home. Down payment percentages depend upon the loan you’ll be obtaining. Conventional loans generally require 20 percent down and the best choice if you hope to avoid paying a monthly private insurance premium. Other loans, such as those through FHA or Fannie Mae, require significantly less for the down payment, while the VA and USDA require no money down. Fast forward to 2017 and a new Fannie Mae study finds that borrowers with a 50 percent (Debt-to-income-ratio) DTI are much better credit risks than previously assumed. The study looked at 15 years of statistics from borrowers with back-end DTI ratios up to 50 percent. Many of them had decent credit scores and the default rate was quite acceptable. It turns out, a majority of these borrowers have hefty cash reserves (at least 12 months or more) or are willing to come in with a higher down payment. And many of these borrowers are millennials, just like you. When you find a home you want to buy, you will submit a purchase agreement with your earnest money deposit (EMD). Your agent will list the amount you are paying and where it will be held. And EMD shows the seller that you are serious about pursuing the purchase. The seller takes a gamble by removing the home from the market and you put your cash on the line with the possibility of losing it, under certain circumstances. While on the subject. Do you know how to protect your earnest money deposit. Yes indeed, you can loose it if you don’t know what you are doing. I have seen way too many couples loose the 1st deposit they make on a home, usually because they are trying to buy FSBO. This is the part of the process that catches far too many home buyers by surprise. Closing costs are all the fees required of everyone who helps you purchase the home. From your real estate agent’s commission and appraiser’s fee to the title company’s research and issuance of a policy and, of course, the lender’s fees. These fees add up – fast – so it’s important to compare closing cost estimates from several lenders. It’s also important to understand which costs are negotiable. Closing costs can amount to 2 to 5 percent of the loan amount. Close as late in the month as possible. Lenders charge interest in arrears, meaning that when you make a house payment, you are actually paying for last month’s interest (and the coming month’s principal). When you close escrow, the lender will have calculated how much interest you owe from the date your loan was funded to the end of the current month. You can eliminate the need to pay all or part of your closing costs by requesting that the seller contribute. 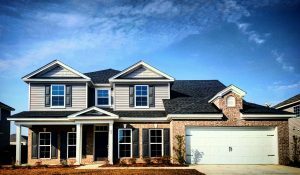 The seller gets to write that amount off as a tax deduction and you get to skip the closing costs, so it’s beneficial to all parties. Ask your lender if you can include the closing costs in your loan. Yes, there will be a charge for this but it won’t be nearly as large as the immediate outlay of cash necessary to pay closing costs. Figure out your budget. Truth is, you most likely will be able to afford a mortgage payment every month. But it will be tight and you have some tough decisions to make. Maybe trade in your expensive car lease, check if you can ‘Bundle’ your bills (phone, internet, TV) to reduce monthly expenses… cook more meals at home, carpool whenever possible – all these add up to bigger and bigger savings fairly quickly. For those on a limited budget with sparse savings, buying a fixer home may be the answer. A fixer-upper is priced an average of 8 – 10 percent less than market value. The drawback is that, since you have a tight budget, renovation work will be on an as-you-can-afford-to-make-repairs basis. Fixers are an ideal way to get into home ownership for a lot less money than you’d pay for a turn key home. And eventually, you will have a home that’s customized to your lifestyle and tastes. Taking into consideration, this is your 1st home, buy the least expensive one you can find. Try and find a house that can be ‘updated’; new windows, door, appliances, landscaping. Over the next few years, look at remodeling the kitchen and baths. If you have saved enough, maybe add an addition like another bedroom or family room. These are the best ways to build equity and make a nice profit too when you go to sell. Here are some ways to take the money you have right now, and stretch it to make the purchase a bit more comfortable. PMI (private mortgage insurance) or MIP (the FHA Mortgage Insurance Premium) is a monthly payment that you want to avoid. It is required on all mortgages with a down payment of less than 20 percent. PMI adds a big chunk to your house payment. For example, a 30-year, FHA-backed loan at 3.750 percent interest on a $250,000 loan: with a down payment of $8,750, your MIP will be about $170.00. If you save enough money to put 20 percent down, and you’ll skip the MIP or PMI fee every month saving you about $2,040 per year. Plus, your loan amount will be smaller and your monthly payment will be less as well. Don’t won’t to wait a long time to save that much? Maybe there is someone who will gift you the funds for a down payment? FHA mandates that a borrower put at least 3.5 percent down, conventional loan guidelines permit gift funds for all or part of the down payment, as long as the loan-to-value is 80 percent. The donor has to be related to you, a parent, significant other, fiancee. Basically, here are the 5 things you should know about using gift money for down payments. Your monthly mortgage payment can include an escrow fund to pay for insurance, taxes and sometimes homeowner association dues that can add nearly $600 to your house payment each month. HOA fees are on the rise, nationwide. If you don’t mind doing your own exterior home maintenance, mowing, gardening, snow removal, you can save a lot of money. The national average annual premium is $964. You can save on insurance buy asking for a higher deductible, installing security features and take advantage of discounts, such as those for seniors. Shop carefully and compare policies among several insurers. Here is the best guide I have found on what home owners insurance is. Wallet Hub’s John S. Kiernan claims that “The average American household spends $2,149 on property taxes or about $179 per month”. Make sure you research a home’s property taxes before deciding to purchase, remember, they will go up when you purchase – too many people think they remain at where they are presently, which can be answered by a simple phone call to your lender. You can also figure it out yourself, it’s easy to do – many assessor’s offices have tax information online. Buyers should find out whether a home may be subject to multiple property tax authorities. Not only states, but also counties, cities and districts (local water, sewers or schools, and possibly even special assessments if new roads have been put in). This is obviously very important. Having an experienced buyers agent representing you will make all the difference in the world – believe me! The word “millennial” is too often followed by the words. “student loan debt”. in the media one would think it’s the generation’s middle name. While some millennials may be on the hook to repay up to $50,000 or more, it’s not the impediment to home ownership that some make it out to be. Then, in April, Fannie Mae announced a new policy specifically aimed at millennial home buyers who have student loan debt. Basically, it excludes any debt that isn’t mortgage-related (auto loans, credit cards and, yes, student loans) from the borrower’s DTI, as long as these debts are paid by someone else (such as a parent). The “Big Three” credit reporting agencies, Experian, Equifax and TransUnion recently announced that most tax liens and civil judgments will no longer end up on credit reports, provided the information in the creditors’ report isn’t complete. Apparently, errors like this are common, impacting a large number of loan applicants. “With these hits to their credit removed, their scores could go up by as much as 20 points,” Olick claims. Ridding your report of errors is one of the easiest ways to increase your credit score. The FTC also offers advice on not only how to get free copies of your credit report, but how to dispute incorrect information as well. While a tight budget doesn’t preclude one from buying a home, finding ways to stretch what little money you have may just allow you to purchase more home than you thought possible. At the very least, taking cost-saving measures will help lower your monthly payment. It also helps to understand all the upfront and closing fees that go along with purchasing a house. Best advice? Do your research, take your time and allow yourself to get into a situation that you are comfortable with. Then enjoy your new home wherever it may be!